Historical Tapestry: Happy 5th Blogiversary to Us! Happy 5th Blogiversary to Us! 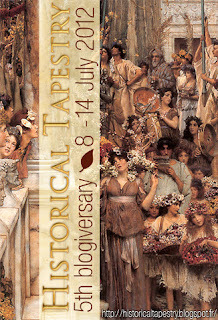 Today marks 5 years blogging at Historical Tapestry. 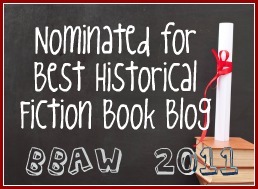 We have gone through many changes over the last 5 years, but we hope to remain a favourite Historical Fiction stop and hopefully will be blogging for 5 more years. Thanks to our loyal readers for stopping by! We appreciate every visit, comment, guest post, etc. Hope you enjoy the week we have put together! Congrats on your five year milestone. Looking forward to what you ladies will come up with. Happy blogiversary - and here's to many more! Five years is an incredible landmark to reach in blogging. All the best for another five years. I love visiting this blog. Congrats on your 5 year anniversary! Over the years, you have certainly added many books to my TBR list (some of which I have yet to get to:)) and I look forward to many more years of great information on Historical Fiction! Congratulations on 5 years! Here's to many more years!